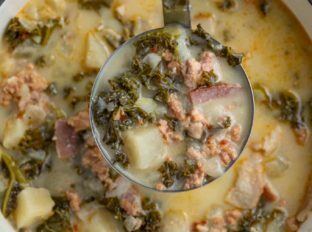 Olive Garden Zuppa Toscana Soup is a fan favorite hearty soup with kale, potatoes, sausage, cream and bacon. Soups are a hands down favorite of this site including our crazy popular Cabbage Soup, Beef Stew and Chicken Noodle Soup. Zuppa Toscana soup is an Italian dish that has its origins in the region of Tuscany – of which it takes its namesake. 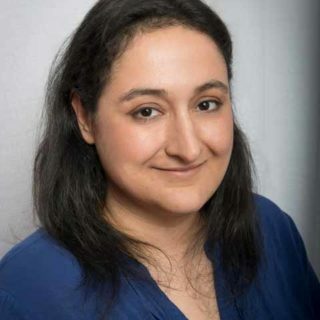 Compared to Sicilian cuisine, which makes greater use of olives and red wine vinaigrette, Tuscan cuisine takes full advantage of its rolling hills and fertile landscapes by using more meats and root vegetables. Zuppa Toscana is an Italian dish from Tuscany that makes use of olives, Italian sausage, red pepper flakes, chicken broth, and more! 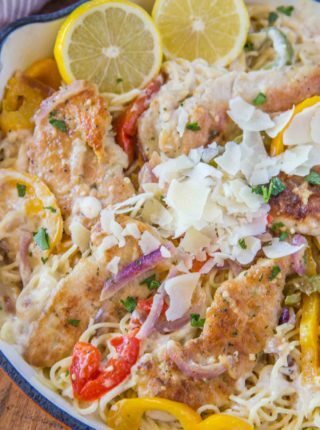 In fact, you might have heard of this if you’ve ever been to Olive Garden! 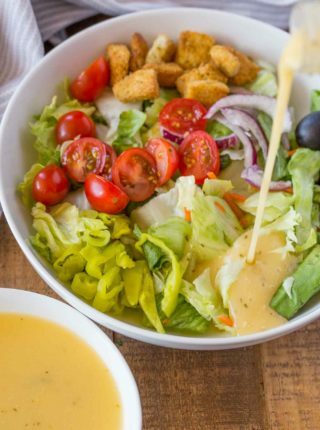 For a complete Italian dinner try adding some Garlic Bread and serve it with my copycat recipe for Olive Garden’s Italian Salad Dressing. Garnish your soup with Parmesan cheese or my homemade Parmesan Crisps. 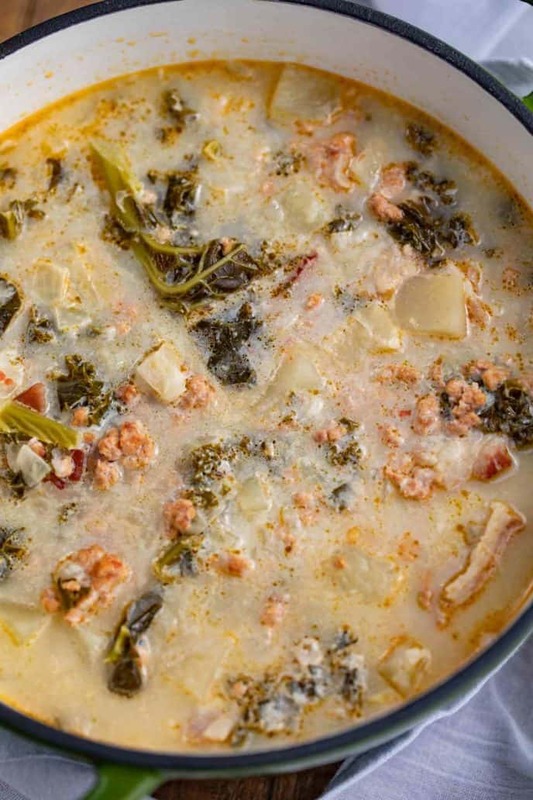 Zuppa Toscana is essentially a cream-based potato soup recipe, complemented by black pepper or red pepper (depending on taste), browned pork sausage, and leafy greens (we use kale, some people use spinach). We recommend making this hearty soup with a slow cooker, but to keep one of our favorite soups completely accessible to everyone, we’ve altered the recipe for it by replacing the crock pot or instant pot with a large pot set to medium heat. This change of how to cook has the effect of speeding up the total cook time of the meal. However, it gives a slightly longer prep time when compared to the normal “dump everything in” way to cook in a slow cooker. 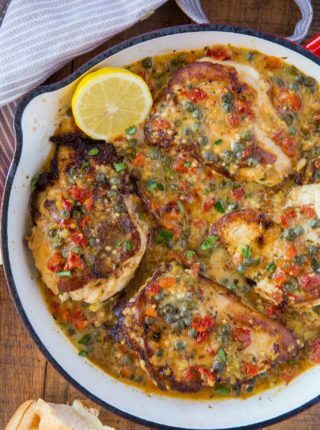 Look further to see this amazing recipe with a total cook time of fewer than thirty minutes! If you’re concerned about reducing saturated fat, there are alternative options to consider! You can replace the bacon fat with unsaturated fat olive oil when you’re softening the onion and garlic. Use paper towels to absorb the residual fat from the bacon strips for additional effect. Heavy cream can also be replaced with half and half in a pinch! 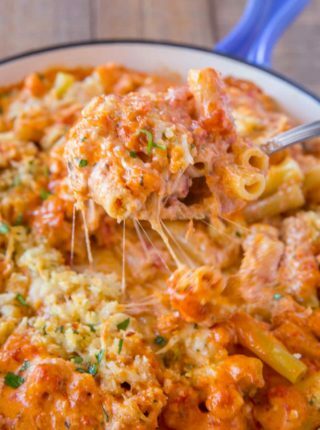 Italian cuisine tends to be quite salty, even in styles that are more agriculturally diverse, like Tuscany’s. Use low-sodium chicken broth to lower the salt even further. You can also reduce the amount of sausage and bacon and increase the amount of kale. I wouldn’t remove the sausage and bacon altogether as this would change the flavor of the soup alogether. Brown the bacon and sausage and remove from the pan, then add the onion, garlic, broth, potatoes and sausage to your slow cooker on low for 6 hours. Add the kale and heavy cream and cook for 2 additional hours on low. Add the bacon Italian sausage and red pepper flakes to a large dutch oven on medium high heat and cook until well browned. Once that's done, remove the sausage from the pot and discard the fat. Reduce the heat to medium, then add in the bacon. Cook until slightly crispy, then remove the bacon - however, you should leave the fat this time around. Add in the onions and garlic, and cook them for 5-7 minutes until softened. Finally, add the chicken broth, bacon, potatoes, and kale - bringing the ingredients to a boil. Once the broth reaches a rolling boil, continue to simmer the soup, leaving the pot uncovered for 20 minutes until the potatoes are tender. Add the sausage and heavy cream, stir together, and serve. Wanna make this soup, but can I use spinach vs the kale (not a fan). I realize the spinach would go in last minute. Recipe sounds amazing ?? This soup is favorite of all time, Iade it with hot sausage and omitted the red pepper flakes. Wonderful soup! 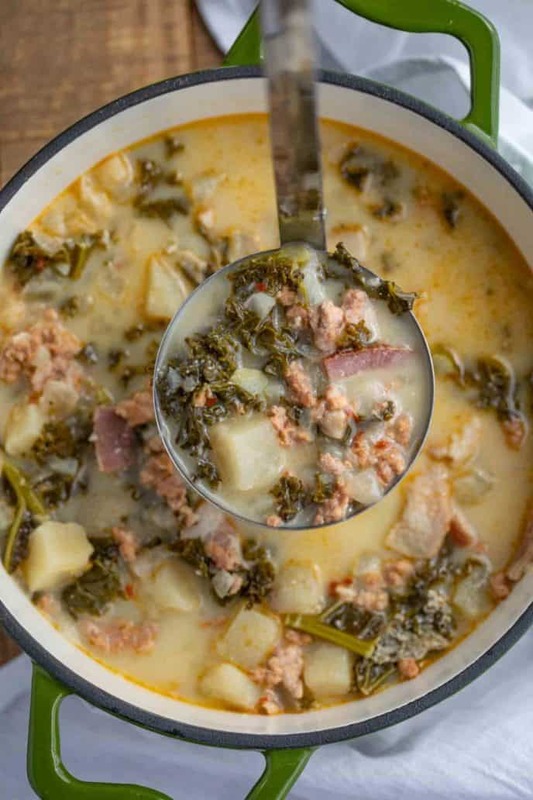 This zuppa toscana looks SO COMFORTING! I have been craving a soup like this for a long time and I just got a bunch of fresh kale from the farmers market! I think it’s meant to be! I have not tried this soup from Olive Garden, but it looks wonderful. I prefer the homemade version anyway ? Ooh! Olive Garden’s Zuppa Toscana is so tasty! This looks spot on (and quite easy). I’m a sucker for pretty much any Tuscan-inspired soup! I love a really filling and loaded soup and this definitely looks like one. Can’t wait to try.